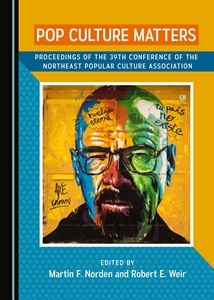 The Northeast Popular/American Culture Association was founded in 1974 as a professional organization for scholars living in New England and New York. It is a community of scholars interested in advancing research and promoting interest in the disciplines of popular and/or American culture. NEPCA’s membership consists of university and college faculty members, emeriti faculty, secondary school teachers, museum specialists, graduate students, independent scholars, and interested members of the general public. NEPCA is an independently funded affiliate of the Popular Culture Association/American Culture Association. Membership is open to all interested parties, regardless of profession, rank, or residency. NEPCA holds an annual conference that invites scholars from around the globe to participate. In an effort to keep costs low, it meets on college campuses throughout the region.